Join us in Gloucestershire this December for an evening of entertainment from a wonderful Bee Gees Tribute Band. 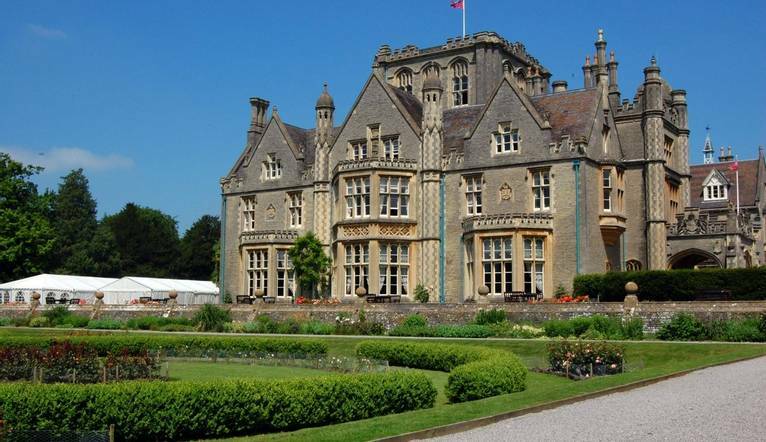 Spend the night at the beautiful De Vere Tortworth Court hotel, where you can enjoy dinner and dancing with fellow hotel guests! Great live music - Many Bee Gee Classics! After a welcome drink with other guests, we'll enjoy a four-course dinner at the De Vere Tortworth Court hotel in Tortworth on tables specifically for Solos. Here, we can take a journey through time and sing along to some of our favourite Bee Gees hits, including classic numbers such as 'Staying Alive' and 'How Deep is Your Love'. After the show, we invite you to put on your dancing shoes for the hotel's disco, which will keep us dancing until the early hours of the morning. This Grade II listed refurbished hotel features 2 restaurants, an Atrium Bistro Bar and its own Arboretum. Leisure facilities here include an indoor pool, spa bath, gym, sauna, steam room and beauty therapy room (charges apply). The lovely guest bedrooms feature satellite TV, safe, iron, kettle, radio, hairdryer and free Wi-Fi. The lovely guest bedrooms feature satellite TV, safe, iron, kettle, radio, hairdryer and free Wi-Fi. Tortworth Court is located close to Junction 14 of the M5. The postcode for the Sat Nav is GL12 8HH. The hotel offer free car parking. The local railway station is Yate station, located about 20 minutes from away. The closest main line station is Bristol Parkway station, and is roughly a 30 minute commute. Dress will be casual for most of the break. However, gentlemen are requested to wear a shirt and tie for dinner. Remember your swimwear should you wish to take advantage of the leisure facilities.